Mr. & Mrs. Catering Service can cater your full service weddings, installations, commodores balls and more. Looking for something more simple try Western New York’s most complete drop-off buffet of nine items. Our popular picnic packages in the summertime have been the favorite choice of many during the great summer months in Western New York. Whether its your full service event, a picnic or a drop-off buffet, Mr. & Mrs. Catering Service has been doing it right for 45 years. Give us a call at 695-2855 and we can help you determine the best fit for your event. 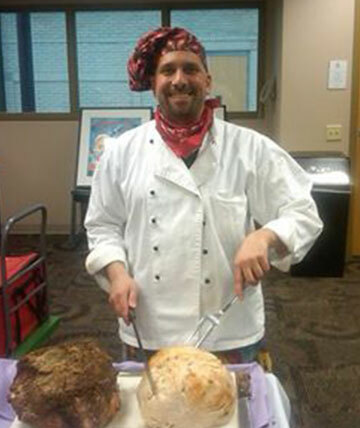 Chef Cohen has been in the industry for over 30 years and knows what the people need to make their events successful.